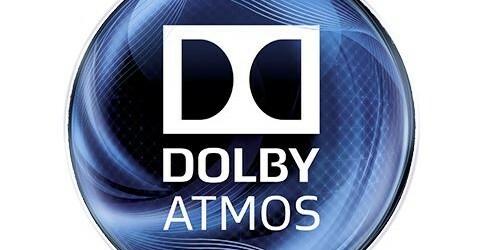 If you are a home theatre fan, you probably have heard of Dolby Atmos, the new audio technology being demo’d these past few weekends in showrooms around Singapore. A big step up from existing surround sound offerings, it promises a more immersive experience, with sound “enveloping” you from all around, much like how you’d feel in a cinema with speakers set up ideally. The best way to describe the sound is a movie scene in Gravity, where Sandra Bullock’s character takes a 360-degree spin in space. With Dolby Atmos – at least in the cinema version, and more on that later – you get to “spin” with Bullock because the sound is seamlessly delivered all around you through the surround speakers. I had a chance to hear a Dolby Atmos demo at a media event with Onkyo Singapore this week and was impressed by the effects. Yet, I’m not 100 per cent sure small Singapore homes will get everything as promised on the brochure. 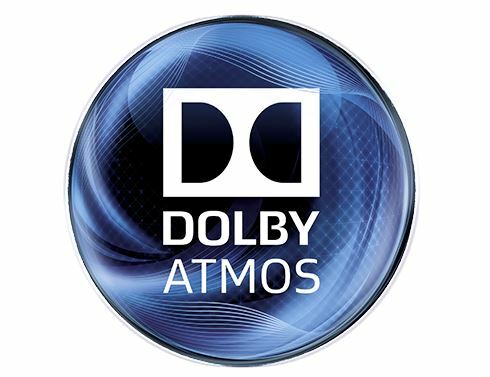 Firstly, what sets Dolby Atmos apart from common 5.1 setups today, with five surround speakers and a subwoofer, is the number of speakers involved. The new setup calls for at least two more discrete speakers that enhance the “height” of a sound source. Do I have to set up ceiling mounted speakers? Yes, you can, but you don’t always have to. You can get by with a pair of small up-firing satellite speakers that come with special Dolby chips in them to connect to a compatible AV receiver. These up-firing speakers will ideally sit atop your front stereo pair of floorstanders and point upwards, relying on your ceiling to reflect sound waves down from the top. This simulates sound from above, adding to the realism of a “dome” of sound around you. In Onkyo’s setup on Thursday, the staff hooked up a top-end TX-NR3030 AV receiver (S$3,700) with seven Paradigm Studio speakers, a subwoofer and two up-firing Onkyo Dolby speakers, in a 7.1.2 setup. At home, the minimum setup is a 5.1.2, where you get a traditional 5.1 plus a “.2” for the two up-firing speakers. Perhaps a more impressive feature of Dolby Atmos, which has been used in cinemas for a couple of years now, is the totally different way that sound is processed. With older 5.1 setups, sound engineers essentially told AV receivers which channels would deliver what sounds, say, 60 per cent front and 40 per cent in the rear. With Dolby Atmos, an engineer would just tell the AV receiver to send the sound overhead to the right of the listener. Using dual digital signal processors (DSPs), a receiver would process this information by taking into account the speakers available, and their placement, as the sound is coming on live in a movie. What this object-based processing means is a seamless transition from one speaker to the next. This is, I feel, the biggest improvement with Dolby Atmos. It’s the feeling that the speakers have disappeared. Up until now, a discrete 5.1 setup often meant it was “cool” to hear the sounds moving around your speakers. Now, the feeling is that you are in the middle of, say, a swamp or rainforest, when the sounds are played all around you. That’s how I felt with the demos earlier this week. In particular, the Dolby show reels were impressive, delivering the surround effects with a seamless nature that I’ve only heard in some of the best home theatre setups in the past. It’s not so much the added height dimension that makes this experience immersive, but the fact that sound was better delivered among the speakers. You do feel more enveloped in an audio field. It’s more 3D. What are the main drawbacks then? Room treatment, I feel, is critical. Even in Onkyo’s demo room in Genting Lane, you feel that better insulation would help. To accommodate the dozens of reporters present, it was a pretty large presentation room. It was more than a few typical Singapore living rooms, for sure, and the sweet spot certainly wasn’t there for many present. The result was that the sound, impressive as it was, didn’t feel as immersive as it may have been for everyone. Dolby’s engineers also note that you should preferably have a hard ceiling to reflect sounds from, if you use up-firing speakers. A false ceiling could end up trapping the sound, they caution. The other usual room treatment advice could help too. I run my own 5.1 setup at home with an SVS subwoofer, and I end up hearing too much of the home fittings – windows and doors – rattling if I turn up the low frequency too much. In other words, if your room isn’t well suited for regular 5.1 setups, upgrading to a Dolby Atmos setup won’t suddenly turn your home into a theatre. You might just get better audio by placing your speakers more optimally and adding curtains or carpets to neutralise some of the unwanted reflection on hard surfaces. Perhaps a bigger issue is the lack of content. Yes, about 200 movie titles have used Dolby Atmos, but that’s in cinemas. When it comes to Blu-ray discs for homes, there aren’t that many. You can count the Michael Bay destruction-fest Transformers: Age of Extinction and Hong Kong’s The White Storm as two that offer the new experience. Gravity, unfortunately, is out on Blu-ray without Atmos because it was released earlier in the year. Clearly, sound engineers still need to get up to speed with the new technology to show it off well at home. The technology may be cool, but they need to get creative with its use to maximise the effect for movie buffs. During this week’s demo, I wasn’t as impressed with the Transformers or The White Storm, as I was with Dolby’s own Atmos show reels. The separation of sounds could have been clearer in the movies. For now, you might have to make do with a Dolby Atmos receiver simulating an Atmos-like experience with regular Blu-ray discs. That’s not the real thing, you’ll rightly say. All this doesn’t mean Dolby Atmos is not going to work. Far from it. With supporting AV receivers going from about S$1,000 now, such as Onkyo’s S$1,099 TX-NR636, it should one day be as popular the Dolby TrueHD format that’s on almost all Blu-ray discs now. Should you rush out to buy an AV receiver with Dolby Atmos? Well, there’s no harm, really, in having the additional feature, except to your bank account. You can expect prices to eventually come down to entry-level AV receiver levels of under S$1,000, given the usual fierce competition. For folks lucky enough to have a dedicated home theatre room – a man cave for guys – Dolby Atmos could provide an interesting upgrade. 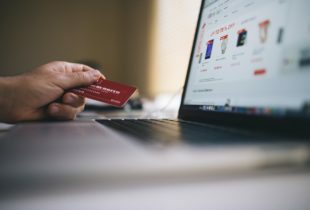 Given the modifications you can do, it could bring a more seamless, immersive experience. And Dolby isn’t the only one working on such a concept. Its great rival DTS is also working on its own object-based audio technology known as Multi-Dimensional Audio. For sure, it’s exciting times ahead for home theatre fans. As usual, though, there are the early adopter pains that go with being the first to enjoy the best new experiences.